In the Acquire panel, go to Settings > Integrations and click on the to configured with Sugar CRM. 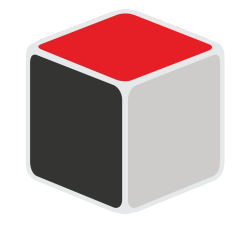 Go to https://app.acquire.io/ dashboard and start chatting and click on Sugar CRM sync button. 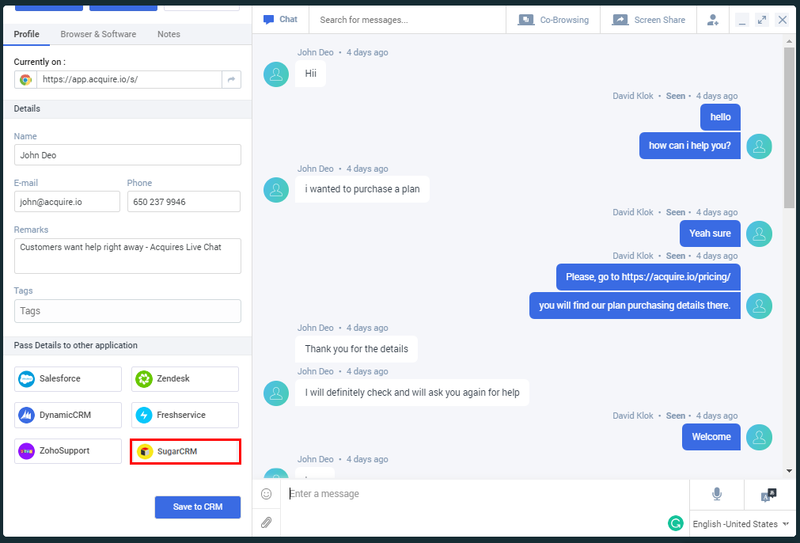 When choosing this option, you can add the visitor into Sugar CRM as a contact or Lead and the ongoing chat as a note under the contact note under the lead. The process of creating a contact the same as creating a lead. The contact creation has account ids list drop-down, you can also add new contact name there to add account new. Once you have created a contact or lead, the details will be shown on the tab and you are free to edit the fields as needed. When the chat ends, the chat details will be added as a note under the contact and lead under the lead. If the visitor is found as a contact, then the contact details will be shown like this below. 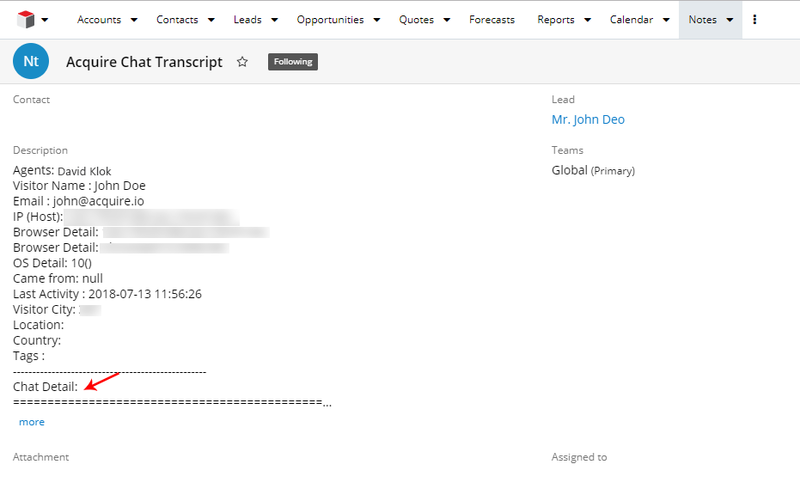 and you will see a button to Save chat transcript as a case or note to this contact. Click the button to start the case-transcript process. When it’s done, you will see a message informing you that the note has been successfully saved to the current contact and same as lead. 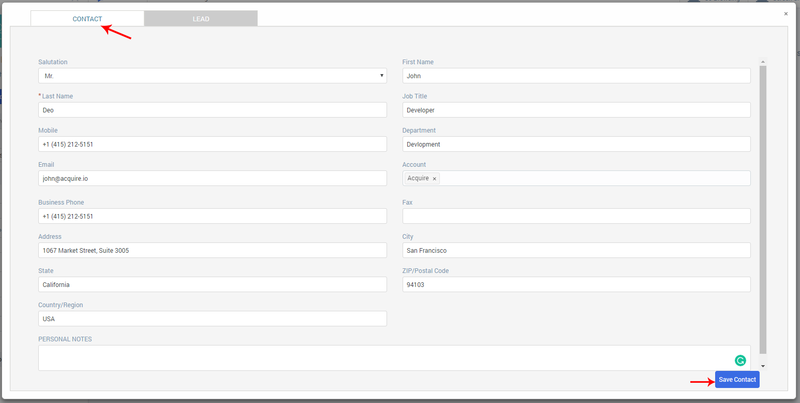 Check your details into Sugar CRM account to fetch your details, and chat transcript as well as. we have used this example for on-line premises subdomain. 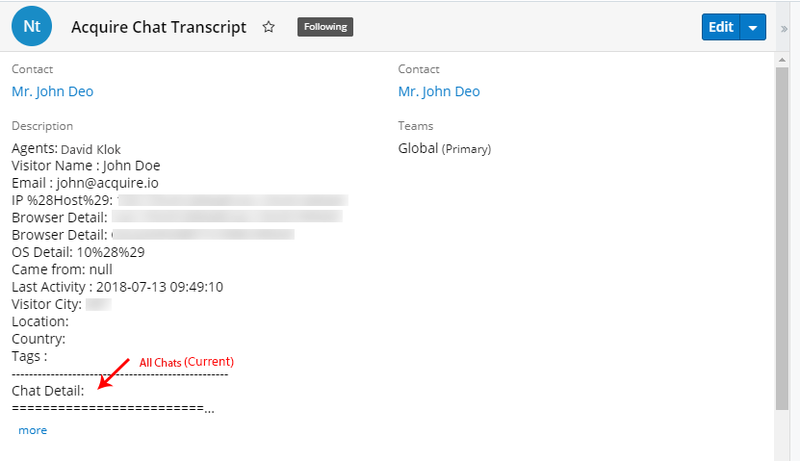 Contact in click on visitor and show a note will be shown like this with chat transcript as you have entered details same as lead. Lead in click on visitor and show a note will be shown like this with chat transcript as you have entered details.